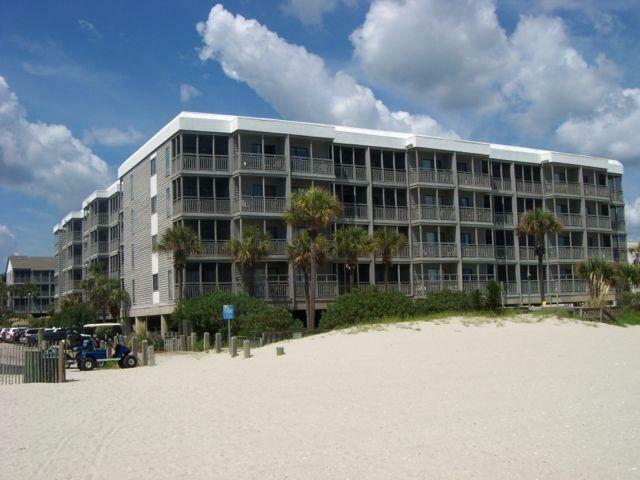 OCEAN View 3 bedroom 2.5 bath condo on 4th Floor ( top) Excellent condition, New Air conditioner. stocked (even has an old fashion milkshake maker). Walls recently painted. note: Condo located on Shore drive which is a dead end. No drive thru by traffic. 2 blocks from Ocean Annie's beach bar, across street to Flip Flops casual bar. free Wifi & cable, TV in all bedrooms. Wet Bar. Off Season  $800- $1200 per week.